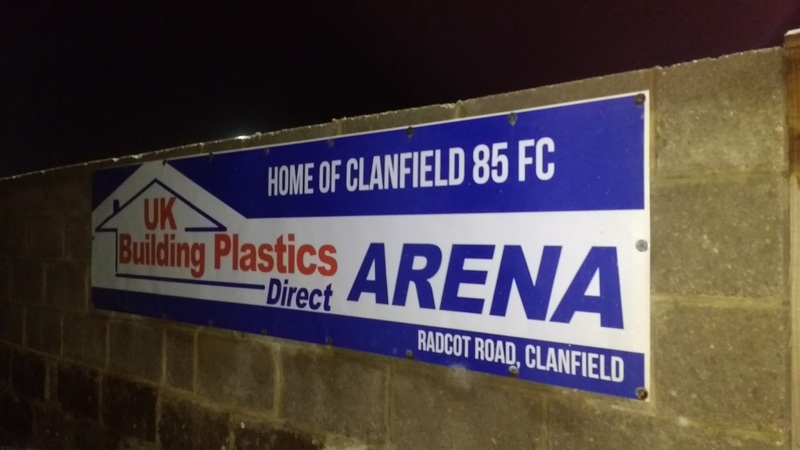 The original Clanfield FC was formed in 1890. They played in local leagues such as the North Berkshire League, prior to joining the Hellenic League in 1967. Starting out in its second tier, they had a good debut season, finishing 6th and won promotion at the third attempt as Division 1 champions in 1970. 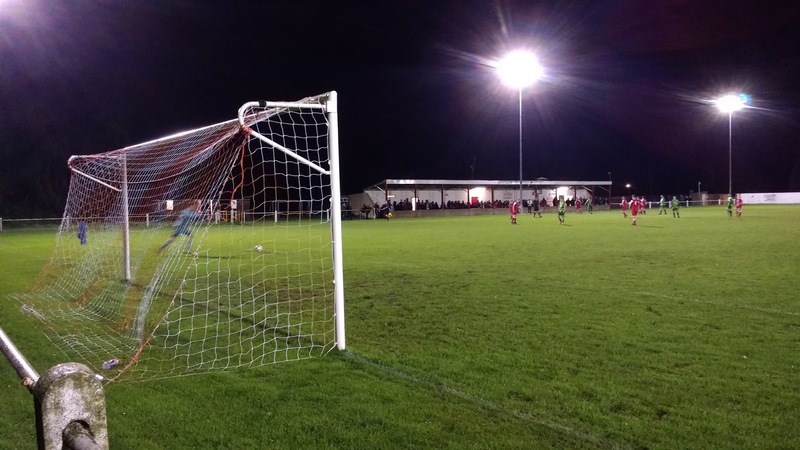 There then followed a ten-year spell in the Premier Division, during which time they finished as runners-up twice to Witney Town in 1973 and Moreton in 1974. Despite dropping down to Division 1 in 1980, they bounced back straight away, finishing 2nd behind Wantage Town on goal difference. In 1985, the club reformed following relegation from the Premier Division, thus earning their current name. Since then, they have remained in Division 1, being allocated a place in the Western variant when a geographical split was introduced at the turn of the century. Their best ever finish since reformation is 4th, which they have achieved twice. 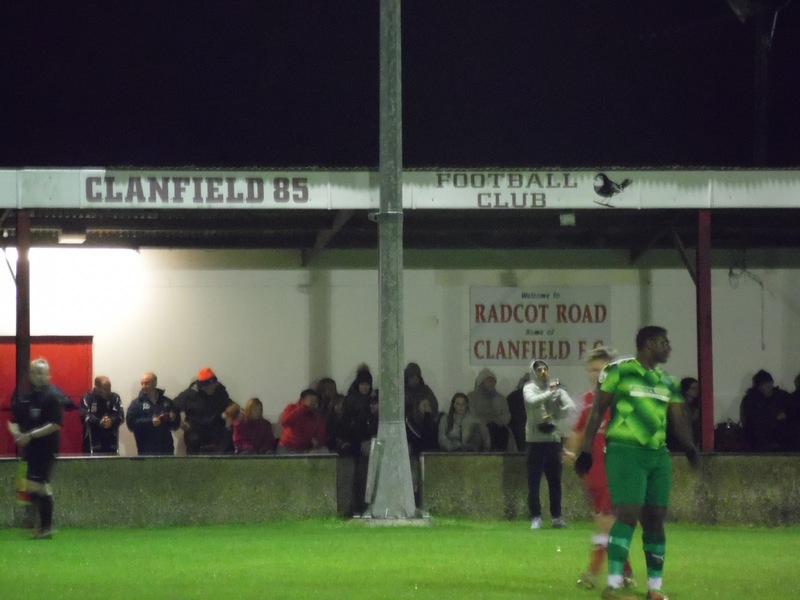 FA Cup experiences have been limited for Clanfield with two defeats in the Extra Preliminary Round to Fareham Town in 2010 and Staines Lammas the following year. The club first entered the FA Vase in the 1974/75 season and their debut season remains their finest. 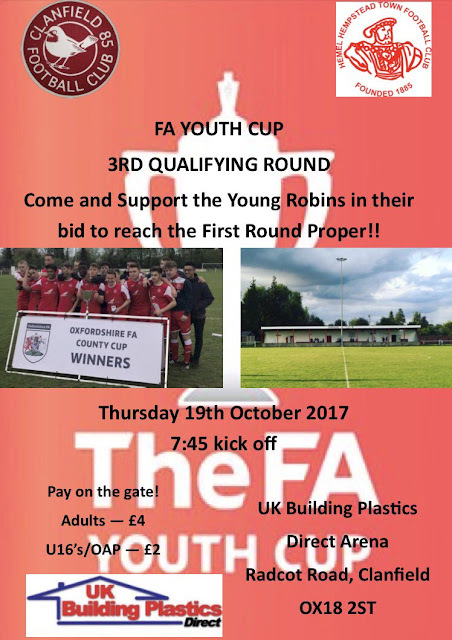 They beat Didcot Town, Wantage Town and Moreton Town before Farnborough Town defeated them 4-3 in an exciting 4th Round clash on home turf. Aside from a 13-year absence between 1993 and 2006, they've entered the Vase every season since, with the second round their best progress in recent times. Local cup honours include two Hellenic Premier Cups, an Oxford Junior Cup and a Witney Senior Challenge Cup. The record attendance of 197 came for a 2002 game against Kidlington. The village of Clanfield itself is pretty small, with a population of 879 according to the last census. I'd been planning to go to Clanfield for a while, as it was pretty local. The only problem was, they played in a small league with just 15 teams so midweek fixtures were pretty thin on the ground. 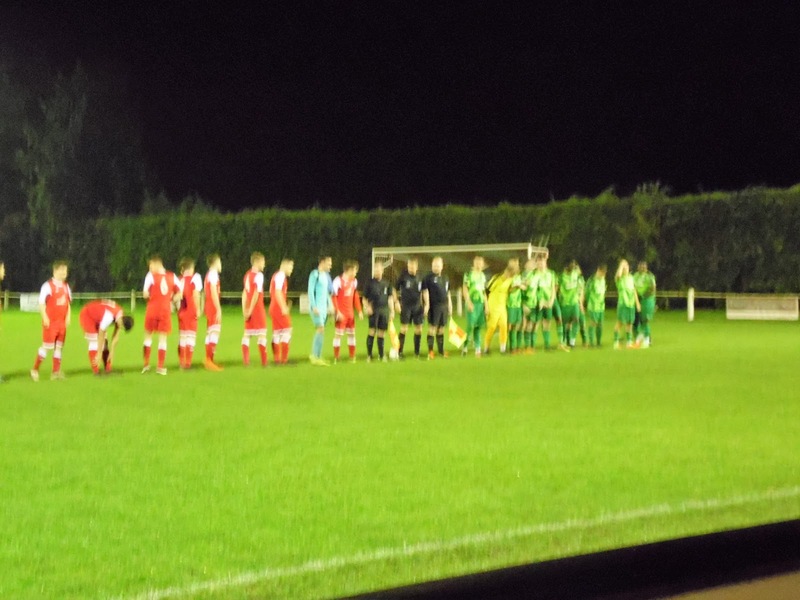 I'd missed out on a few opportunities in this seasons FA Youth Cup - this season Clanfield had already accounted for Bracknell Town and Oxford City so far, both on home soil. Tonight's visitors Hemel Hempstead Town had beaten Uxbridge and Chesham United to get here, the latter with a convincing 6-0 win earlier this month. I'd visited Clanfield 85 back on the 5th April 2011, on the way to a goalless draw between Hereford and Wycombe. I wasn't really a groundhopper then in terms of going to games, but I did enjoy looking at and getting pictures of grounds. I got a really friendly welcome at Clanfield, getting a free programme and this stuck in my mind whenever I saw their name come up on fixture lists. On the day of the game, I woke at 8.30 after a late night the previous night. My first job was to get dressed and take my car to the local garage for its annual MOT and service. After walking back, I cracked on with catching up on my blogs for grounds that I'd visited during my couple of days up north. After lunch, I started tonight's blogs - researching Clanfield's club history. I also had a couple of things to post that I'd sold on eBay, so I was quite busy. It was my Mum & Dad's 43rd wedding anniversary, so I was glad when my Dad was going down Sainsbury's so I could buy them the customary card and bottle of wine. I then went to pick up my car, which had failed its MOT due to two tyres and a windscreen wiper. I ordered the wiper, plus the advisory items of a new windscreen fluid bottle and brake pads with the garage, choosing to sort the tyres myself. £316 down already for the service & MOT, I then came home and ordered the tyres myself. I saved £20 - £30 per tyre by getting them done online, with the pair costing £82, booking them in for next Monday and the rest of the stuff on Tuesday. I was glad that I'd got my MOT done with 3 weeks still left to run, as it gave me plenty of time for a retest and to get things sorted. After all that was done, I relaxed for a bit, having a Chicken Jalfrezi for dinner before leaving at 5.45. I picked Anwar up at 6.15, but it was slow getting out of Aylesbury due to daft traffic calming measures on the main route out of the town. Due to delays elsewhere, we were forced to take a back route through country lanes. We got to Clanfield at 7.35, paying £4 to get in. I met a couple of people I knew - Sean (a Swindon Supermarine fan) and John (a fellow groundhopper) briefly saying hello before taking a seat in the stand. The seats had been added since my initial visit, with the cover being quite full thanks to the inclement weather. Hemel were wearing a fetching two-tone green kit, which I couldn't work out whether I liked or not, but it was Clanfield who had the better of the first half, creating the most chances and coming closest to scoring. I spent most of the second half chatting to someone from the Cheltenham Town FC academy and he was decent company and wished Wycombe well. On the field, the referee could have done better. Hemel Hempstead were slightly fortunate not to be a man down after a two-footed tackle, however, a Clanfield man got his marching orders for two yellow cards. The lad in question was frustrated and threw his shirt to the floor before trudging off. The hosts were still well on top at this point, albeit that chances were few and far between. Any fears that the balance of play might be altered were allayed as they continued to have the upper hand during extra time, although Hemel also came close on the break. I was glad when it went to penalties so that there could be a bit of drama to end the night. All takers were successful until it got to the visitors' third striker. The player hit it fairly central and the home keeper guessed correctly. Wild celebrations followed and Clanfield had deserved it, both on and off the field. They'd promoted it well on social media and were rewarded with a decent crowd that could have been three figures. Though it hadn't been the best of games, I'd enjoyed my night out. It was past 10.30 by the time we left, but good time was made on the way back. I dropped Anwar off at 11.30, stopping for petrol on the way home. With me getting in around midnight and still not tired, I had a couple of drinks and started to write up my blog. I'd filmed the penalties too, so I was hoping to find an app to edit that. Hopefully, Clanfield will get a good draw in the next round, for me it will be something, probably North Walsham with another hopper, Chris, tomorrow. When I visited Radcot Road back in 2011, I didn't see much of the ground. There was no seats at the time, but there was a pretty large covered standing area, with space for around 200. The rest of the ground was open standing. Upon my return, seating had been installed under the cover, making the ground compliant for the Hellenic Premier. 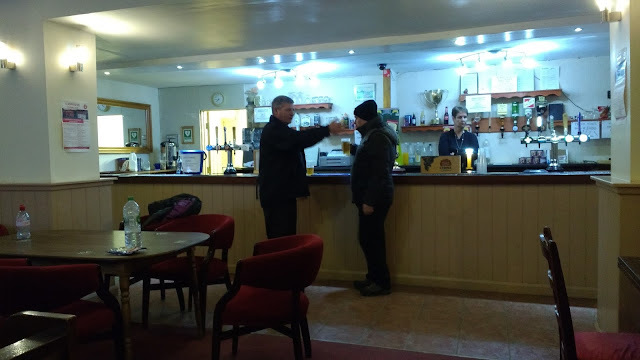 There was also a bar and hot drinks available.